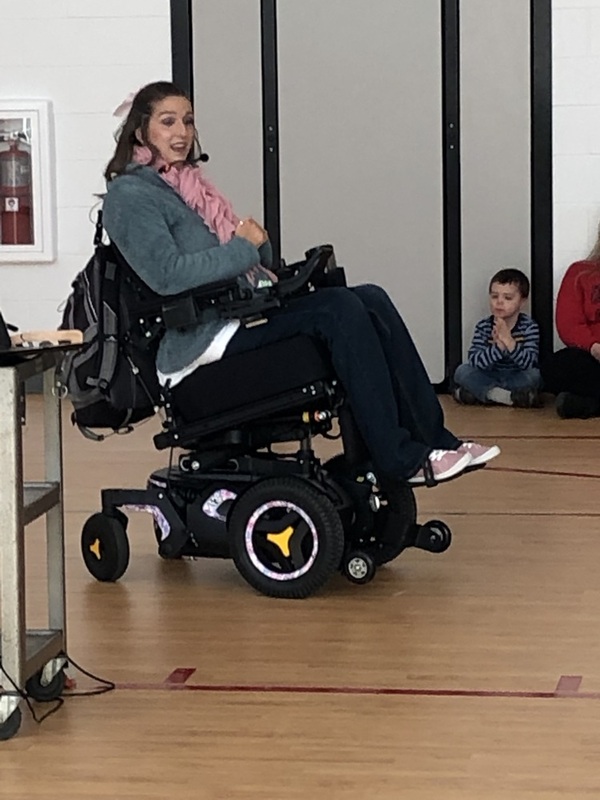 Tasha inspired the Eleva-Strum students by telling her story and letting them know anything is possible. It doesn't matter what obstacles are put in front of you as long as you stay positive and have a "Pit Crew" for support you can do anything. 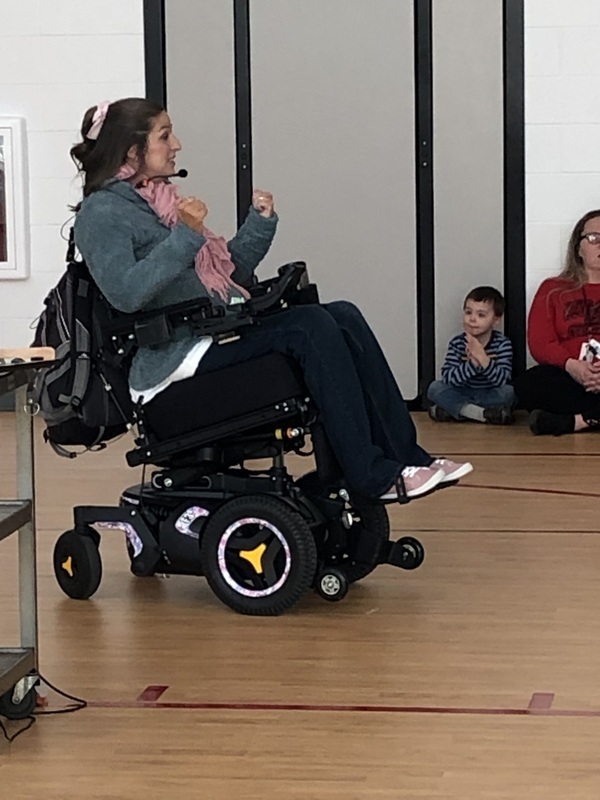 The students listened intently and loved Tasha's beautiful voice as she sang a song from the Wizard of Oz. 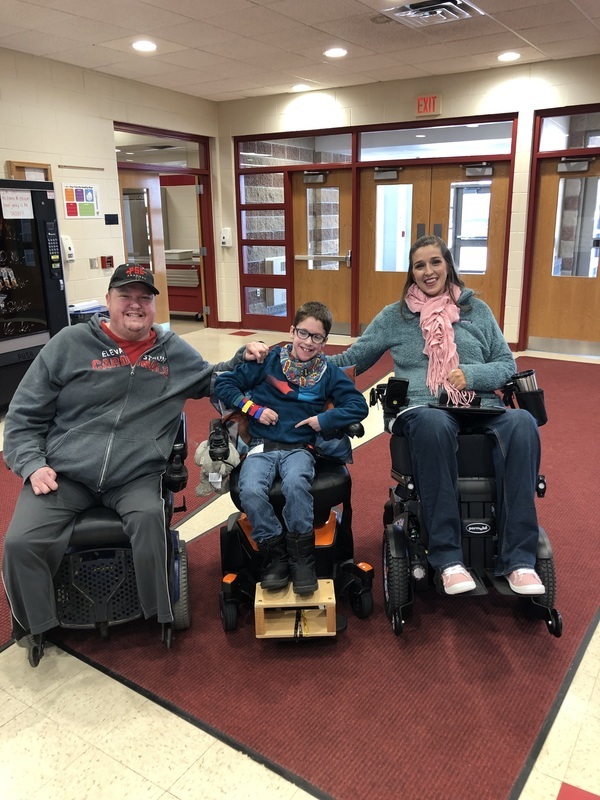 Thank you Tasha and Doug for your inspiration to all. Brian and Sam had the chance to compare horns while Tasha visited as well.